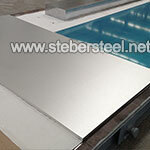 What is 317L Stainless Steel Plate? 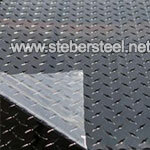 317L Plate is a molybdenum containing austenitic stainless steel, with improved corrosion resistance over 304/304L and 316/316L stainless steel plate. The increased levels of chromium, nickel and molybdenum over 316L stainless steel improve chloride pitting resistance and general corrosion. Through the controlled addition of nitrogen it is common for 317L plate to meet the mechanical properties of 317 straight grade, while maintaining a low carbon content. 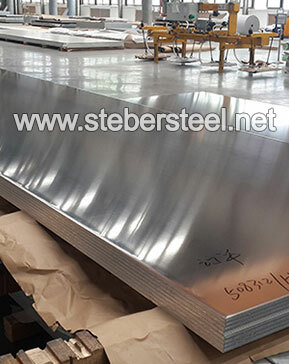 Steber Steel is manufacturer of 317L Stainless Steel Plate in India, we are producing Stainless Steel 317L Plate since 1999. We are ISO 9001 & PED approved exporter of SS 317L Mirror Plate in India. We maintain over 800 ton 317L Stainless Steel Checkered Plate in various shape, sizes & coating which makes us one of the largest stockist of 317L SS Color Coated Plate in India. 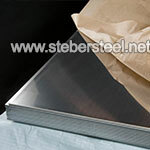 In 1985 Steber Steel was incorporated as a trader of Polished 317L Plate & in 1990 Steber Steel became stocking distributor of UNS S31703 SS 317L Patterned Plate & DIN 1.4438 Stainless Steel 317L Embossed Plate, later in year 1994 we were recognised as a leading distributor of SS 317L Hot Rolled Plate, Hot Forming Plate, Cold Forming Plate,Cold Rolled Plate in India. Further we started stocking 317L Stainless Steel Cold Rolled Plate of other manufacturers of Inox 317L Stainless Steel Plate. 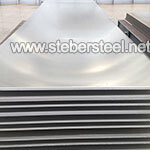 Steber Steel became largest stockist of AISI 317L Jindal Plate. Currently we have India’s largest inventory of SS 317L Polished Plate, SS 317L Perforated Plate, SS 317L Tread Plate, SS 317L Diamond Plate & cold drawn 317L Stainless Steel Plate at our Mill in Mumbai, Maharashtra. 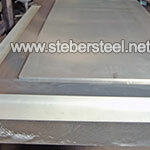 Steber Steel is only Supplier in India who maintains Stainless Steel 317L Mirror Polish Plate in 0.5mm to 5.0 mm in width of 1000mm, 1250mm, 1500mm, 2000mm, 2500mm size range etc. 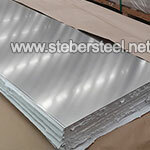 Our researched inventory of 317L Stainless Steel Plate in India enable us for prompt delivery to countries like Dubai, Ras Al Khaimah, UAE, Kuwait, Qatar, Saudi Arabia, Turkey, Israel, Iraq, Iran, Oman, Bahrain, Nigeria, Kenya, Mozambique, South & West Africa, Indonesia, Malaysia, Singapore, Thailand & Philippines in any emergency or industrial break down. We can offer SS 317L grade cold drawn Plate at dealer price which helps us to prove one of the best stockholder of Stainless Steel 317L Polished Plate in India. 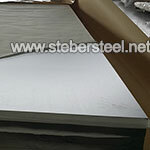 At Steber Steel we have special offer on surplus stock of 2B Finish 317L Stainlesss Steel Plate & No. 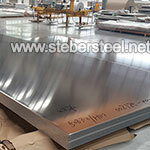 4 Finish 317L Stainless Steel Plate. 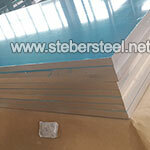 SS 904L Sheet Hardness : Soft, Hard, Half Hard, Quarter Hard, Spring Hard etc. SS 317L Plate Packing: We focus on every procedure to assure quality, the package we usually take is pack WNR 1.4438 Plate with environmental poly bags, and then in free fumigation wooden cases or wooden palte. Also can accept customized package such as OEM by negotiation. 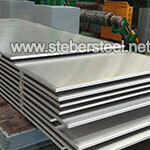 Steber Steel offers just about everything to meet your UNS S31703 Plate pack requirements. Lot of emphasis is placed on the packing and packaging . The AISI 317L Plate are packed in wooden corrugated boxes foiled in plastic wraps and bubble wraps. We mark the INOX 317L Plate as needed with the most suitable marking technique. When packaging and packing, our experienced warehouse staff systematically takes the greatest precautions for your Alloy 317L Plate to be optimally protected during transportation. 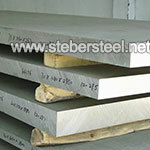 We pack the 317L Plate according to the appropriate method: strapped pallet, wooden crate, overseas packing (ISPM15). Up to 6.25″ thickness, Plasma Table Size = 10ft X 65ft. 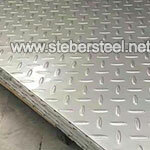 317L Stainless steel Plate can be plasma cut from 3/16″ thick thru 6.25″ thick. Varies by thickness. State of the art equipment enables significantly better tolerances than older plasma technologies. 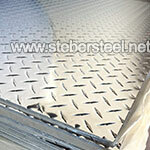 317L Stainless steel Plate or bar from 1/2″ thick thru 22″ thick stainless steel can be Kasto saw cut. +1/8″ is typical; tolerances may vary depending on grade or thickness., and equipment. 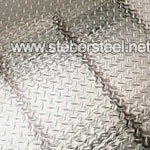 317L Stainless steel Plate thru 3/4″ thick can be shear cut to size. 4 Dynamic Waterjet Tables 317L Stainless steel Plate can be waterjet cut from light gauge sheet metal thru 8″ thick 317L stainless plate. This table lists the general industry standard specifications for Hot Rolled Annealed and Pickled (HRAP) 317L stainless steel Plate. Specialty Polished 317L Stainless Steel Plate Finishes Other stainless finishes that can be provided per customer request include a #6 finish or a #7 finish. Polished finished Plate can be ordered to a specified RA range. 300 Series Stainless Plate Finishes Inventory 304 & 316L in stocked. Other 300 series stainless grades can be polished per customer request. Most stainless or duplex stainless grades Plate can be polished per request. 400 Series Stainless Plate Finishes 430 BA is inventoried. Other grades Plate can also be provided with a BA finish. Mill minimums may apply. Blanchard Grinding Plate All Plate Sizes All plate inventory can be cut to size, and then ground to your tolerance and flatness specifications. Stainless steel sheared and edged bar can be gauer processed from 3/16″ thick thru 5/8″ thick up to 8″ wide. ASTM A240 Plate This specification governs a group of general requirements associated with stainless steel plate, sheet and strip, including the following specifications issued by ASTM: A167, A176, A240/A240M, A263, A264, A265, A666, A693, A793, and A895. ASTM A480 covers thickness tolerances, manufacturing requirements for stainless steel plate. ASTM A693 Plate This ASTM specification governs specifications for precipitation-hardening stainless steel plate, sheet, and strip. 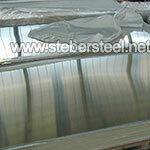 For example, 17-4Ph stainless is covered under ASTM A693. AISI 317L Plate is non-magnetic in the annealed condition and is non-hardenable by heat treatment. Machinability is 39% – 65 surface feet per minute. Alloy 317L Plate can be easily welded and processed by standard shop fabrication practices. 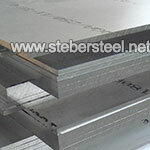 Steber Steel is a leading exporter and distributor of stainless steel 317L Plate, 317L stainless steel round Plate in India and international markets such as Malaysia, Iran, Germany, UK, Canada, UAE, Bahrain, Indonesia, Mexico, Chile, Brazil, Peru, Nigeria, Kuwait, Jordan, Thailand (Bangkok), Saudi Arabia, Venezuela, Russia, Turkey, Australia, New Zealand, Sri Lanka, Vietnam, South Africa, Kazakhstan. A widest range of SS 317L Plate ready stock available in Middle East countries including Bahrain, Iraq, Israel, Jordan, Cyprus, Egypt, Iran, Kuwait, Lebanon, Oman, Saudi Arabia, Syria, Turkey, United Arab Emirates, Palestine, Qatar and Yemen. We offer the best selection of SS 317L Plate supplies at the lowest prices in Mumbai, Bengaluru, Chennai, Ahmedabad, Pune, Dubai, Bangkok, Navi Mumbai, Kuala Lumpur, Jakarta, Singapore, Houston, New Delhi, Ashburn, Seoul, Hyderabad, Doha, Riyadh, Tehran, Abu Dhabi, London, Kolkata, Ho Chi Minh City, Lagos, Vadodara, Beijing, Istanbul, Gurgaon, Jeddah, Pimpri-Chinchwad, Dammam, Calgary, Sydney, Surabaya, Karachi, Melbourne, Lahore, Noida, Busan, Mexico City, Sharjah, Perth, Madrid, Shanghai, New York, Jaipur, Chandigarh, Johor Bahru, Cairo, Hong Kong, Indore, Al Jubail, Thane, Warsaw, Coimbatore, Shah Alam, Hanoi, Quezon City, Puchong, Sao Paulo, Santiago, Lucknow, Petaling Jaya, Vung Tau, Brisbane, Chicago, Bogota, Foshan, Yokohama, Ajman, Damietta, Buenos Aires, Montreal, La Victoria, Kochi, Makati, Moscow, Wenzhou, Toronto, Changsha, Chiyoda, Los Angeles, Cangzhou, Rio de Janeiro, Bekasi, Ulsan, Rawalpindi, Dallas, Medan and Manama. We have worldwide distributor network to supply SS 317L Plate which help you to find the nearest & right Stainless Steel 317L Plate distributor near you, India’s Prominent manufacturer of ASTM A240 317L Plate. We maintain bulk stock of SA240 317L Plate. Supplier & distributor of Alloy 317L Plate globally in cut to size. We have a large inventory 317L Plate, UNS S31703 Plate, WNR 1.4438 Plate, Alloy 317L Plate. We have extended our stock program for you: austenitic stainless steel Plate in grade 317L/1.4438, available from stock.